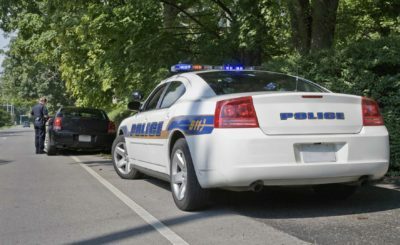 Reporting drunk driving anonymously is actually a contentious issue in the United States, with some claiming that it violates the rights of the 4th amendment. However, anonymous tips for drunk driving are frequently called in by civilians and if you receive a DUI charge as a result of a tip, you will want to be prepared for the consequences that it could cause you. Drunk driving laws in Boise, Idaho are harsher than many other states, and anonymously or not, they can have serious ramifications for your future. If someone notices this behavior in your driving, they may report your car’s make and model, as well as license plate and location to law enforcement with their suspicions of drinking and driving. The police may then follow up on this anonymous tip by pulling you over and searching your car for open liquor, as well as requesting a breathalyzer test. What About the 4th Amendment? Just because you have been accused of drunk driving does not make it true. Reach out to Boise DUI Guy today. The 4th amendment generally protects civilians from anonymous tips, but if you are stopped for an anonymous drunk driving tip, you may be prompted by law enforcement to produce your license and registration, and undertake a breathalyzer test. Some states will automatically suspend your license if you refuse to submit to a breathalyzer test. Additionally, if you are driving under the influence with a license that is out of date or has already been suspended, your charge may automatically be upgraded to a felony. Even if you suspect that you have been stopped as a result of an anonymous tip, it is always best to comply peacefully with law enforcement. What is Naverette v. California, and Why Does it Impact Me? A recent court case in 2014 called national attention to the question of when police can rely on anonymous tips to stop drunk driving. In this court case, a 911 caller left an anonymous tip that a truck had run another vehicle off the road. Fearing he may be drunk, they called the police. The driver turned out not to be under the influence, but in possession of large amounts of marijuana. The case ended up calling into question the driver’s 4th amendment rights to not be searched without cause. Ultimately, the judge held that the anonymous tip was reliable, but Supreme Court Justice Antonin Scalia wrote a scathing response to challenge that anonymous tips are unreliable, and a threat to the personal freedoms of Americans. However, despite this protest, the result of the court case does set a precedent confirming the validity of an anonymous tip for drinking and driving, which you will want to keep in mind if it happens to you. Regardless of anonymity or not, a DUI charge can have lasting ramifications for your future. Receiving a DUI charge in Boise, ID can result in a misdemeanor charge and a minimum fine for $1000, as well as the possibility of jail time. If the drunk driving incident was especially serious, you may even face a felony charge, with the accompanying increase in fines and jail times. DUI charges can also have a lasting impact on your car insurance rate, and your future employment prospects as you may be labeled as a ‘high risk driver’ as a result of the DUI on your record. If you receive a DUI charge in Boise, Idaho as a result of an anonymous tip, you will want to seek legal counsel as quickly as possible. There may be a chance to invoke your 4th amendment rights and challenge the DUI, but you will want to have a legal team from Boise DUI Guy on your side. Our attorneys can help you deal swiftly and efficiently with your DUI charge, and provide you with the tools you need to move forward. Don’t delay- contact Boise DUI Guy today.